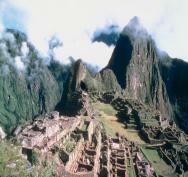 The city of Cusco is situated in the South-eastern region of Peru. Not far from the city lies the Urubamba Valley which is located within the Andes mountain range. Cusco has something for everyone including archaeological sites and parks, shops and street markets, some of the finest restaurants throughout Peru and a very vibrant and exciting nightlife. School info: Founded in 1996 the school offers spacious classrooms, multimedia rooms, internet café, located in the historical city of Cusco. School info: With a maximum enrollment of 60 students, this mid-sized school offers 17 classrooms and is located near the city centre of Cusco. If you enjoy archaeological sites and digs then you will be in your element in the city of Cusco. The Sacsayhuaman Archaeological Park is a fascinating place covering an area of 3,000 hectares. The park is thought to be unique throughout the world due to its architectural findings. The more adventurous souls will discover plenty to satisfy their need for daring activities! Cusco offers canoeing and kayaking along many different routes and the 3 main rivers used are the Urubamba, Tambopata and the Apurimac. If you are not concentrating too hard on not actually falling out of your vessel then take note of the beautiful plants and flowers along the way. Horseback riding following the Inca Trail is a stunning way to view the breathtaking scenery of the Sacred Valley of the Incas. The excursions can last just for the one day or for longer if you wish to camp under the bewitching stars making for a truly memorable experience. The city of Cusco is a terrific destination for shopping. Visitors can purchase wonderful handicraft items ranging from sweaters and gloves to caps and vests. Pottery is available to buy just about everywhere and the designs generally incorporate Inca motifs which are usually close to nature, such as an animal or tree. The brilliant point with studying in Cusco is that there is plenty of culture along with the fun element of the city; visitors always receive a warm welcome from the locals. Description: Cusco has something for everyone including archaeological sites and parks, shops and street markets, some of the finest restaurants throughout Peru and a very vibrant and exciting nightlife.